The majority of emails we get at The PA Platform are about how to get into PA school with a low GPA. 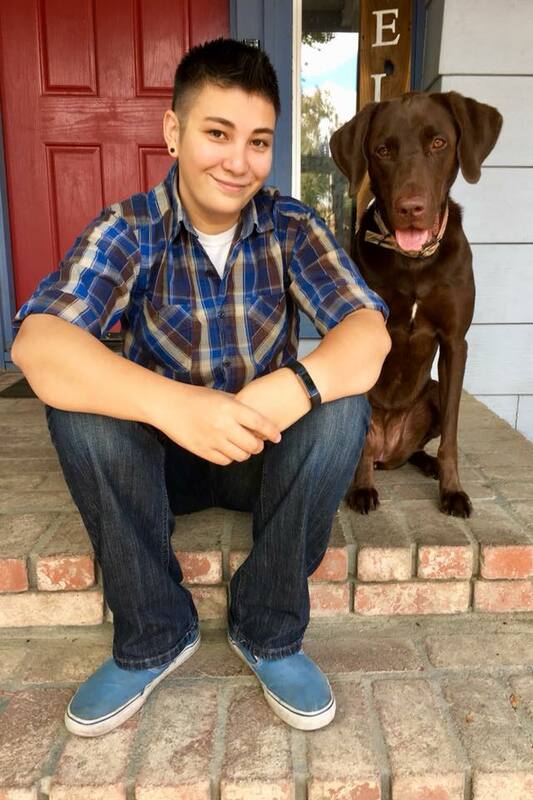 Once your GPA drops, it can be very difficult to overcome, but Marian is an amazing example of how it CAN be done. 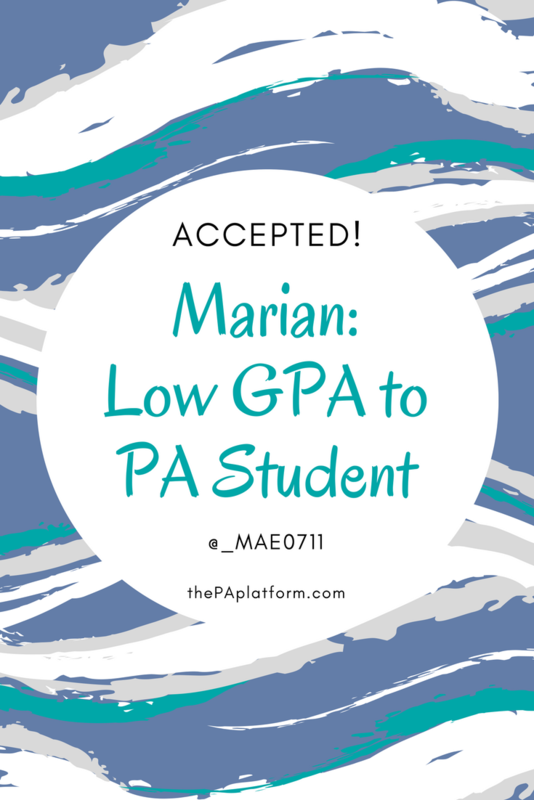 It wasn't easy, but Marian kept working hard and didn't give up, and now she's going to be a PA! And she rocked her mock interview, so I wasn't at all surprised to hear of her acceptance. How many programs did you interview with and what were the outcomes? 1 interview invite, 1 acceptance, waiting to hear back from 6 programs. Any red flags on your application? My undergraduate GPA was the biggest red flag in my application. I did everything in my power to compensate for that by completing a post bacc, a masters and having lots of patient care and volunteer hours. I also excelled in getting my Masters in Biology, which I felt I had to pursue to she admission committees that I could handle the rigor of PA school. Anything you found surprising about interviews? I found it comforting that when I interviewed I felt so relaxed. The faculty and staff made Interview day fun and i really felt at home with the program. Were there any helpful resources (books, websites, apps) you used to get through prerequisite courses, the application or interview process? I basically studied everything on the PA Platform! Lol. From the webinars, the Top 100 interview questions, to the practice Mock interview I wanted to be prepared as possible. I also read the book "How to Ace the Physician Assistant Interview" by Andrew Rodican (Amazon affiliate link). As a student with a lower undergraduate GPA, I never thought I would see the day I got accepted. The first time I applied, I thought I did everything the right way but I made so many mistakes. So here are my tips. 1. Apply Early!!! Submitting your Application in April or May is key especially for schools that utilize rolling admissions. 2. Research the programs you're applying to. I only applied to programs that had a holistic view on my application, due to my lower GPA. Therefore I applied to schools that had "recommended" GPA requirements or would put heavier emphasis on the last 90 units of my coursework. I also applied to schools based on the mission statement. 3. Don't Give up! No matter how hard reality may seem, just hold on to your dream! It's never too late! Don't let anything or anyone stop you from fulfilling your destiny! Sure, It may take longer..but if you don't give up on yourself, stay focused, and trust that you can do it...YOU REALLY CAN! All it takes is one interview and one acceptance letter and I am a living testament to that!